What should a primary school student report look like? Hekia Parata said today that parents LOVE National Standards. This is clearly not true, given the huge number of people speaking up against them. – what DO parents want to see on school reports? – what does a comprehensive and informative school report look like? – have you seen one that you thought was a good example that others might like to consider using? I want to collect a bank of GOOD report layouts that inform about the whole child and their understanding of the wide, rich curriculum. Your mission, should you choose to accept it, is to send me in photos of school report layouts you like. You can blank out or cover child’s names and the school name or I can do that for you. I will ensure the photos are edited for privacy and then share them on here, so people can discuss what they do/do not want to see on a child’s report card. Now go get your reports, photograph them and send them to me with comments! National Standards are proving so negative for kids that at least one school is issuing separate reports to parents to give a truer picture of how their child is doing, the Green Party revealed today. 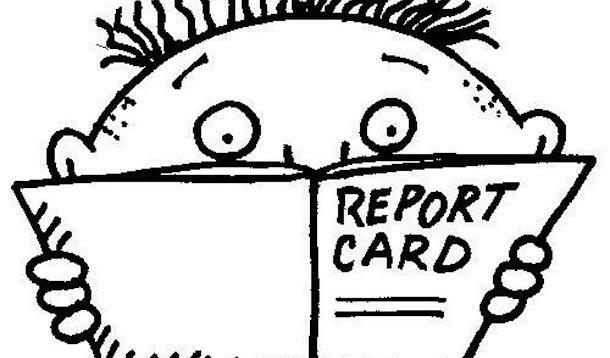 Thousands of parents are this week receiving end of year National Standard reports. Collingwood Area School will send the National Standard reports but is also issuing thoughtful reports that reflect each child’s achievement more accurately. “National Standard reports coming home to mums and dads around New Zealand this week are baffling to many parents as they don’t actually reflect how their children are doing, or even whether they have a good grasp of the subject,” Green Party education spokeswoman Catherine Delahunty said today. “Collingwood Area School has made the sensible decision to work around National Standards and continue to give families better information about their kids’ achievements,” Ms Delahunty said. Collingwood Area School send the National Standards reports home separately and they are addressed to parents leaving it up to them whether to share the information with their children or not. They issue separate reports that give more information which are more useful to share with children. “Students who have made leaps and bounds in a subject but have not reached an arbitrary standard are labelled a failure by National Standards,” Ms Delahunty said. “Schools like Collingwood don’t want their kids demoralised when they’ve worked hard to improve, they want that effort recognised and the kids given a positive sense of achievement. Being told you are a failure is not motivation to do better. “This school is doing this extra work on reporting because of feedback from teachers and parents at the school are very supportive of the approach. “It’s great that individual schools are being so innovative but really the Government should be making it easier for them to get good information to parents, not making it harder. “I have spoken to parents, intelligent educated people, who struggle to understand their kids’ National Standards reports and have had to make appointments with principals to decipher what they mean. “The Green Party will ditch National Standards and requirements for schools to report against them. National Standards don’t recognise that schools already know how to report and measure and it is high quality teaching that will improve educational achievement – let’s put the energy into that,” Ms Delahunty said.